The future depends on the penetration of renewable energies in our energy system. At ECOS, we work to make this transition as sustainable as possible. 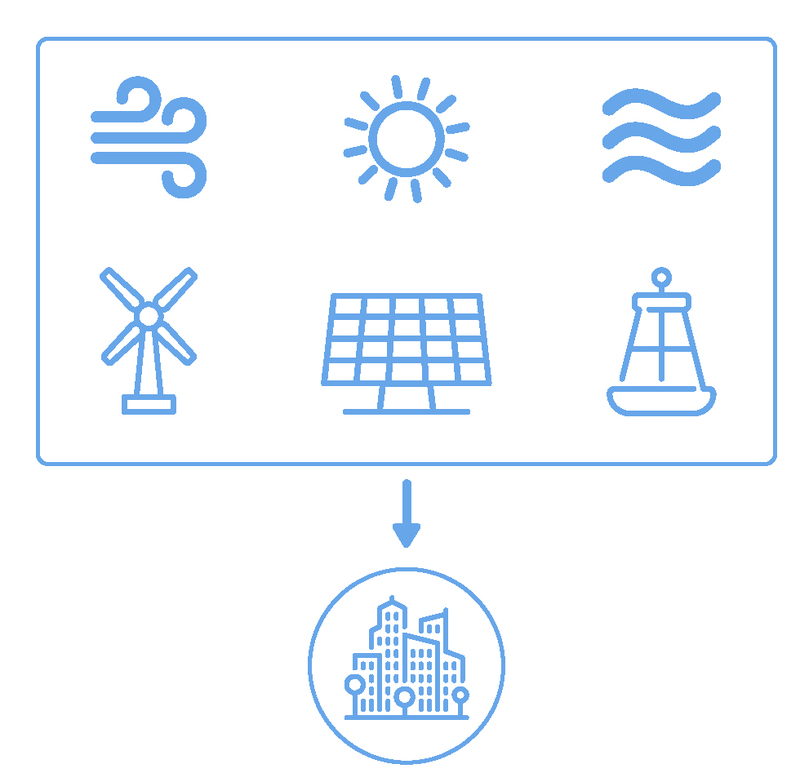 Technological development and innovation have allowed further development of techniques that can improve the efficiency of many alternative systems to produce energy based on renewable energy. Wind turbines are becoming increasingly more efficient; energy production with wind is easier and the use of solar panels is increasingly widespread, taking advantage of the development of new materials that are able to retain and transform solar energy. This technological gap has allowed for the exploration of new areas with infinite options to obtain energy like the marine area, where new models emerge that use wave energy, currents or temperature changes. At ECOS, we opt for this sector, specializing in the evaluation of the implementation of new energy models and the optimization of implant sites, which allows the efficiency of the systems to be improved.